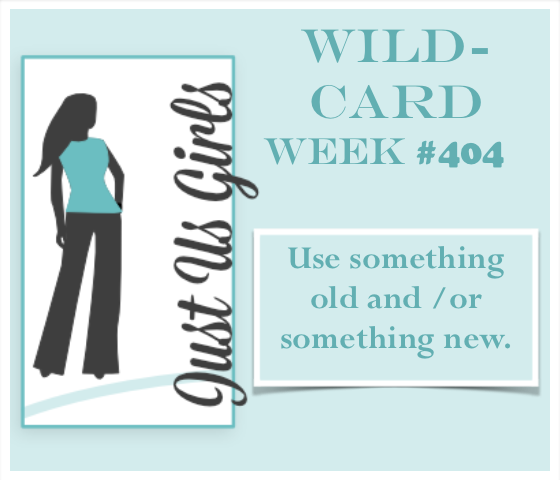 Hello Friends, It’s Wild Card Week at Just Us Girls and Ina has selected a fun and easy challenge for us! All you have to do is to use Something Old and or Something New on your card and or project. I have done both…sort of! My stamp set is very Old as I have had it for YEARS and it’s New as it has never had INK on it until now. Now that I think about it, the sentiment is New as well as I have never used it before. Supplies; Stamp-Inkadinkado, Watercoloring, Gold Embossing powder, MFT-heart, Sentiment-Stampin UP. Categories: Cards | Tags: Card making, Cards, heat embossing, stamping, Sympathy card, Thinking of you, watercolor | Permalink. That’s a wonderful collage design and I like the gold and soft colors. You chose well for this challenge. Wow I love how you have done this card Nancy and cant believe you haven’t inked it up before (says she with the biggest NBUS pile ever). What a beauty and the sentiment together with that soft inking. Thank you so much for making me feel so welcome I have totally enjoyed my visit with all you girls. Loving those soft colors and the gold embossing. Did you emboss first and then watercolor? Love the gold and the colors you used together, so pretty! Beautiful card. Love the collage image stamped over the pretty background. I had to laugh because I have MANY stamps that are old and new at the same time. I think it’s called “greed” on my part…lol. I love what you have done here with the blocks of color and the gold embossing. That stamp is awesome, there are so many ways you could use it, and I’m glad you finally have used it…ha ha. This is just beautiful! So pretty, Nancy. Love the vintage look of the stamp set and the colors you used. Hope you are having a great summer. Beautiful! I love the gold and the watercolor background. So perfect for our challenge this week! This is such a wonderful, artsy, collage-y design, Nancy, and the colors blend beautifully.